Your buddies’ favorite spot to watch the game is not a sports bar. It’s in front of your TV. 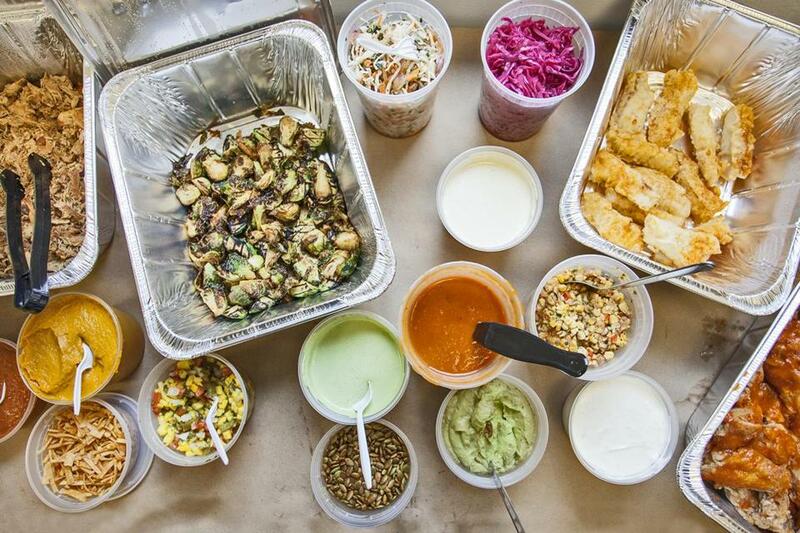 To feed the fans, or for any gathering, set up a taco bar with crunchy tortillas, fillings, and garnishes from Loco Taqueria & Oyster Bar in South Boston. The restaurant recently launched the to-go Taco Box: corn tortillas with choices of fillings such as Baja fried fish, root beer-braised chicken, blackened swordfish, and grilled avocado (10 person minimum; $10-$22 per person). Then load up on sides — Loco’s thick chips, pico de gallo, guacamole, grilled corn, wings, and more (each order serves 10; $10 and up). Every container is labeled, and there are instructions on how to prepare the feast. It’s food worth rooting for. Loco Taqueria & Oyster Bar, 412 W. Broadway, South Boston, 617-917-5626. Order 24 hours before pickup at www.locosouthboston.com. Delivery is available through the service Caviar.